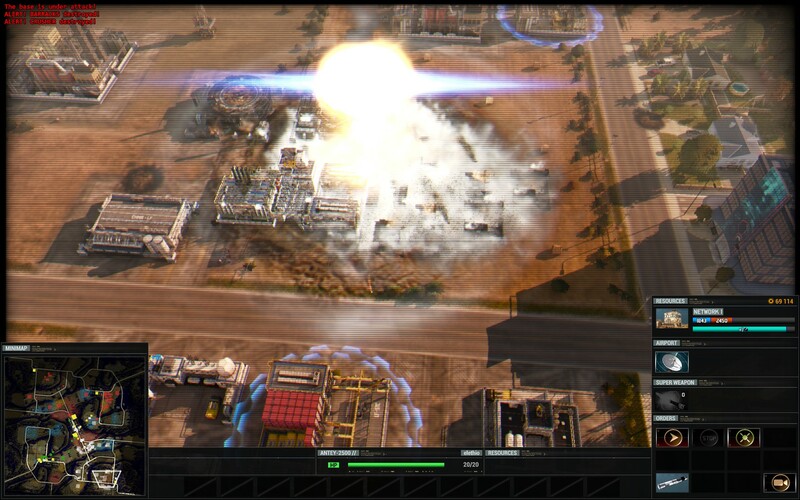 Act of Aggression, the new RTS game from Eugene Systems, is currently about two weeks away from its official release, and we’ve being delving into the Beta for this game to give you an idea just what to expect from the full product. 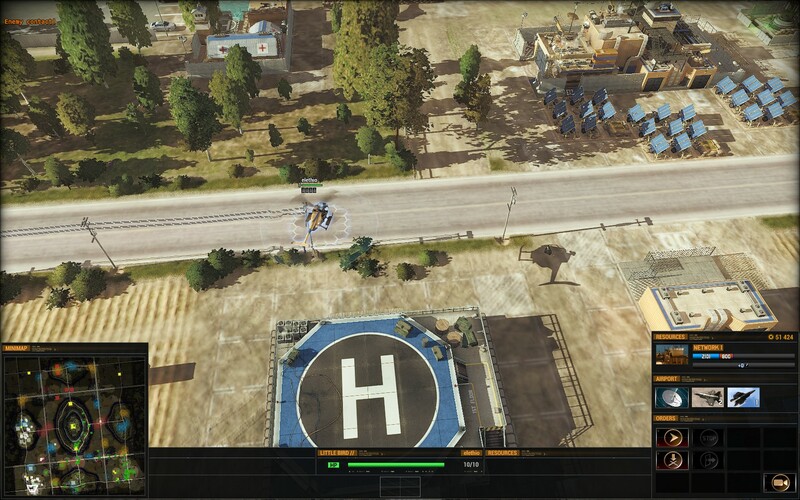 The multiplayer beta of AoA currently being given as a bonus to preorder customers, will give you access to most parts of the game, including: five levels of AI, multiple Skirmish maps and online multiplayer too. It lets you use all three factions: US Army, Chimera, and the Cartel. 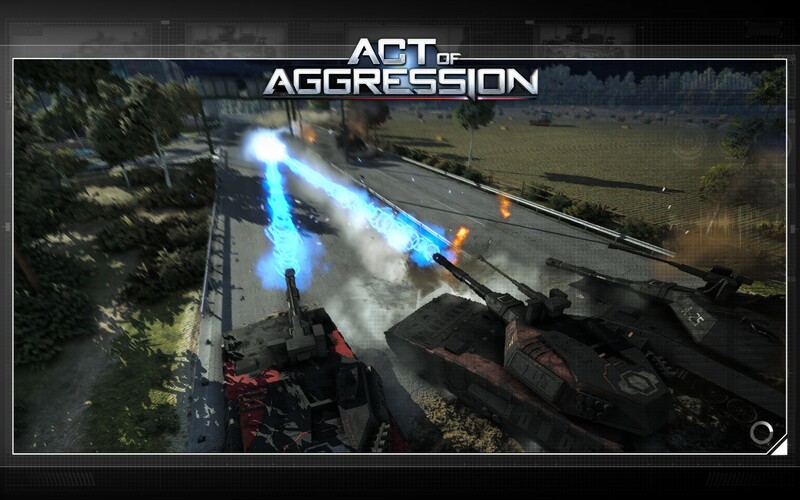 Act of Aggression, is all but the official successor to the 2005 game Act of War, and it is also a spiritual successor to the classic Command & Conquer Generals. 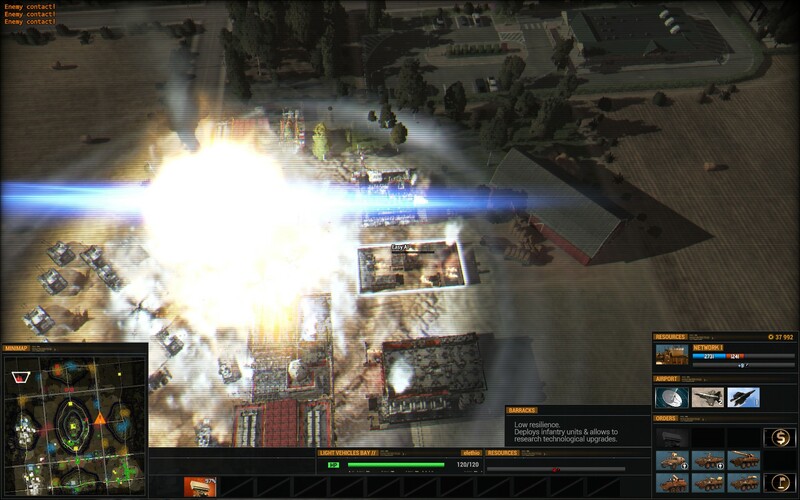 The influence of Generals can be seen throughout the whole game from the jagged electric guitar soundtracks, to the style of the menu screens, and also in the setting and gameplay too. Also available in metallic blue, sunset red or lime. 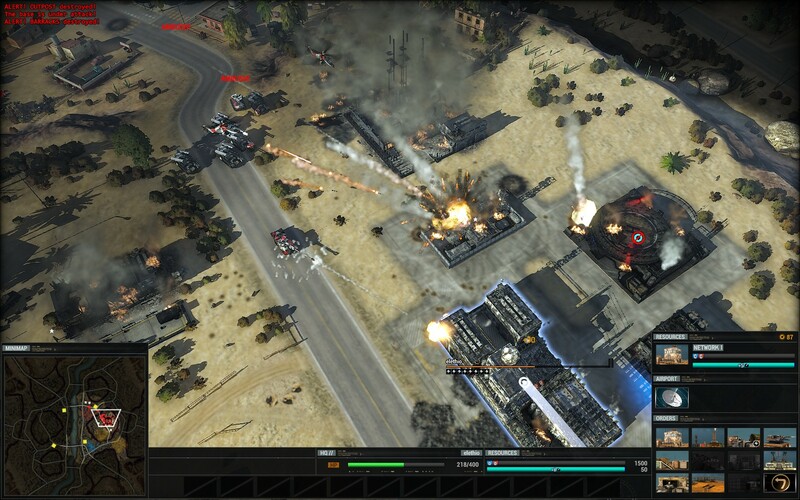 Eugene Systems are self confessed RTS fanatics and they could not simply make a clone of Generals (although that might still sell well), instead they have tweaked and added and mixed in new features so that there is a surprising level of depth to the game. 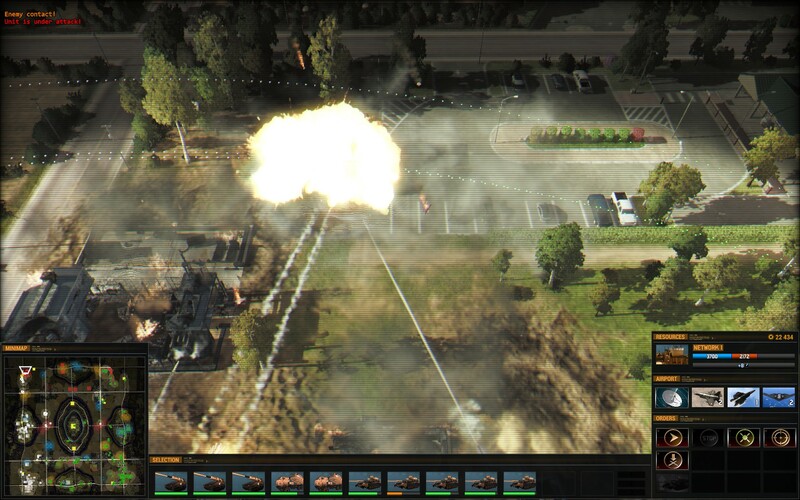 Many of the newer mechanics take a bit of prior knowledge or experimentation to learn and this has to be the biggest difference between Generals and Act of Aggression, the sheer amount there is to learn. 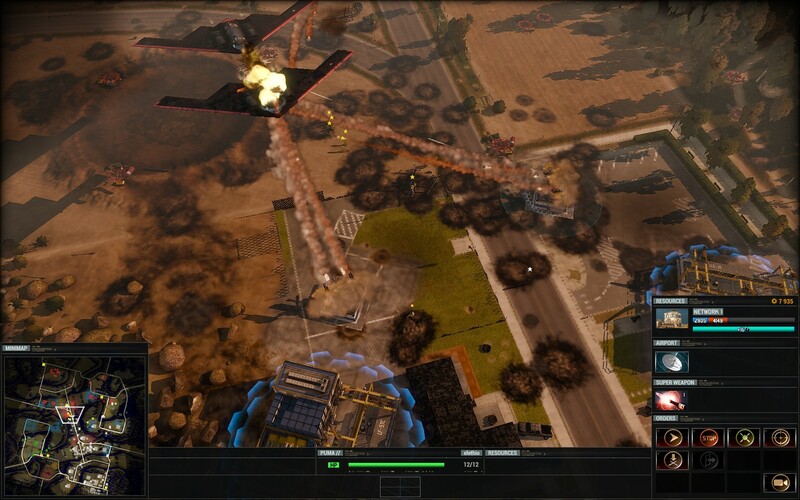 There are a few purists saying “there is too much depth, Generals was simple, intuitive, and easy to pick up” and they have a point, you won’t properly understand any faction in AoA after just one game, and even after a dozen matches there may still some elements that may escape you. 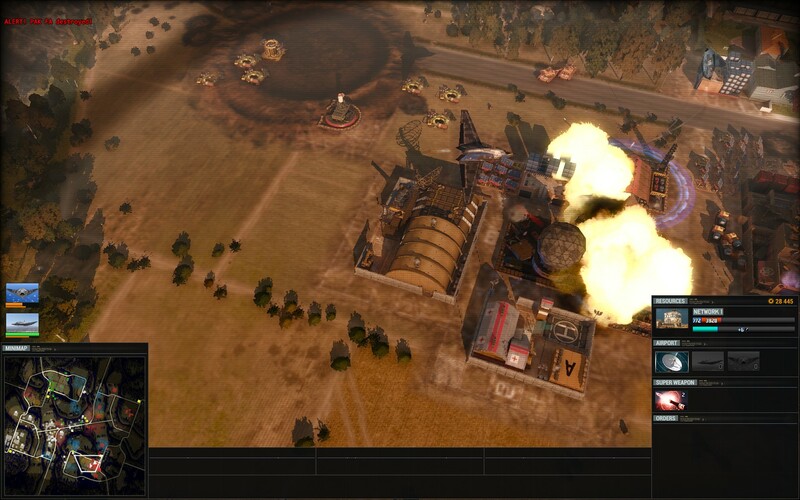 But this is not 2003, the majority of people playing this type of game are now older with more patience, and even total newbies can understand the difference between a tank and infantry so will know enough to get through a few games until they learn more. In other words, I believe the depth of the game is satisfying without being crippling. 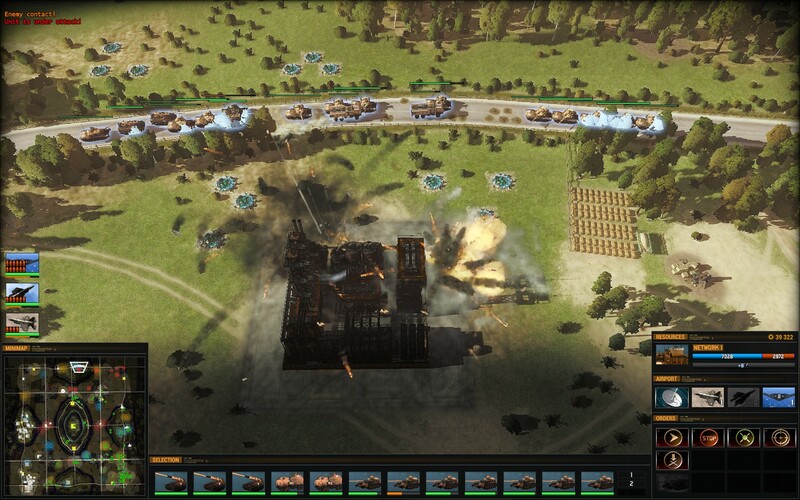 You can still do your “tank rush” piling twenty Abrams through your opponent's front door in a merciless show of strength, or you can pick off their units at range using artillery and stealthed spotters. 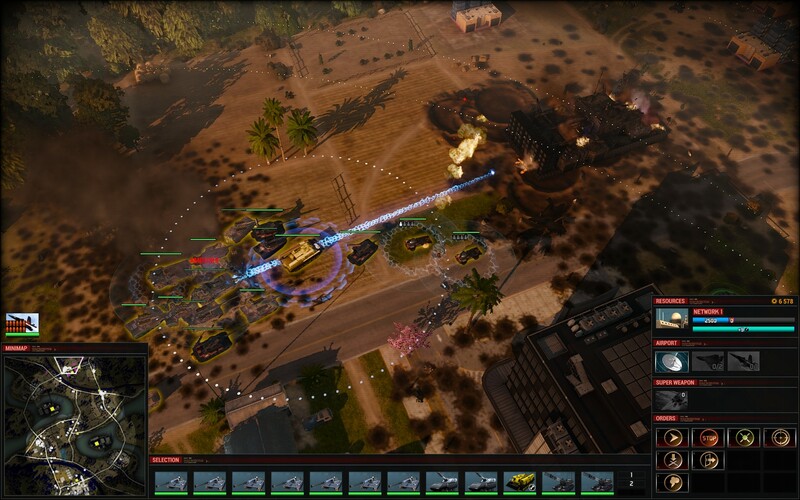 You can get sneaky and draw away the enemy forces out with a fake attack while you slip in some infantry to steal their buildings. 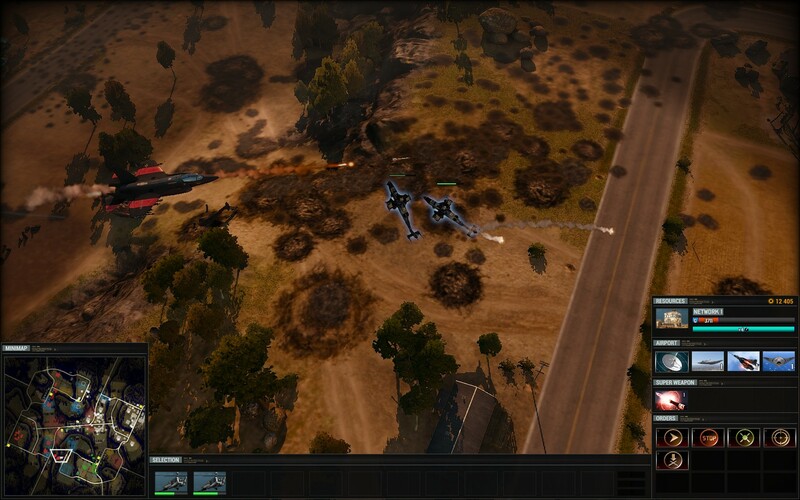 There are aircraft, super-weapons. But the main things is, it still has most of the tactics you're used to, plus much more. AoA is not a game designed purely around Rock Paper Scissor counters, nor is it a game at the other extreme where any unit can counter any other. 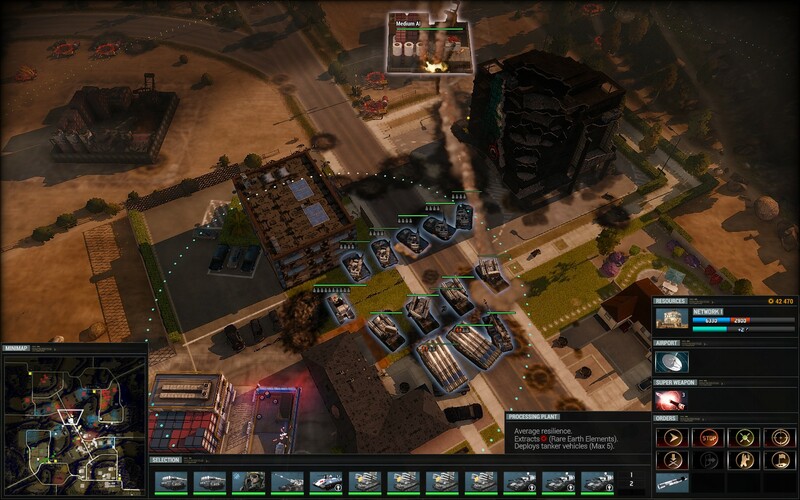 Rather it's a game where all units have a degree of specialisation and a degree of versatility. 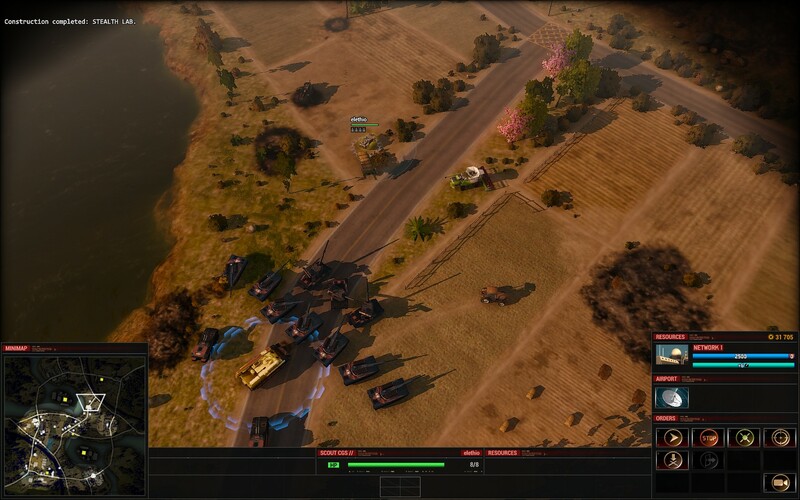 But remember, you still don’t want to be leading your tank rush with artillery units. Put your hands in the air and step away from the combine harvester. 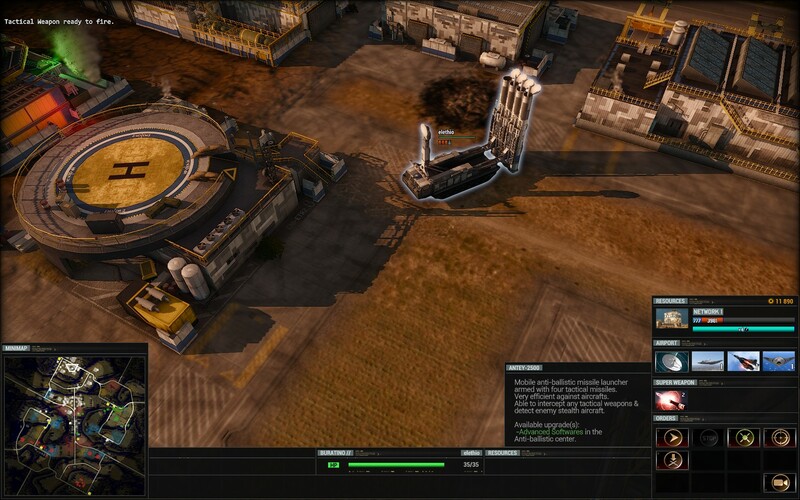 Resources are a key area where the devs have added a great deal more depth. Rather than just using money as the single “purchase all” resource, you now have two more resources to balance: Aluminium and Rare Earth. 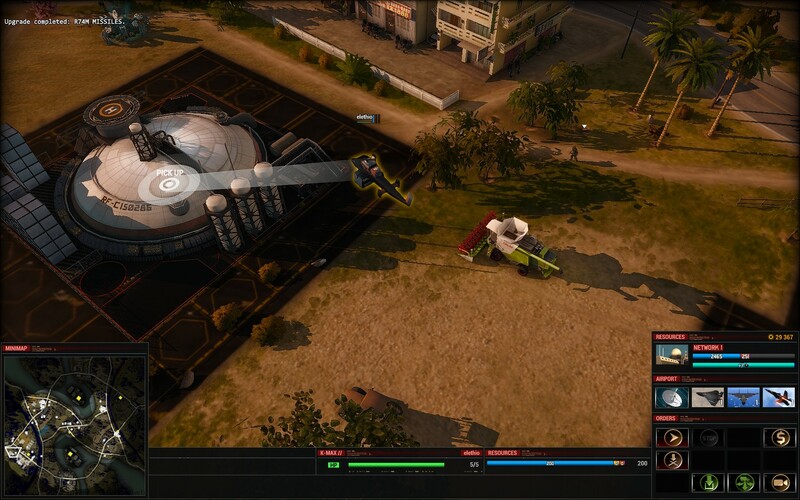 These extra resources are needed in some units and upgrades, in varying degrees for each faction. as well as prioritising which resource to extract you also have a limit storage capacity for these resources, but not for money. 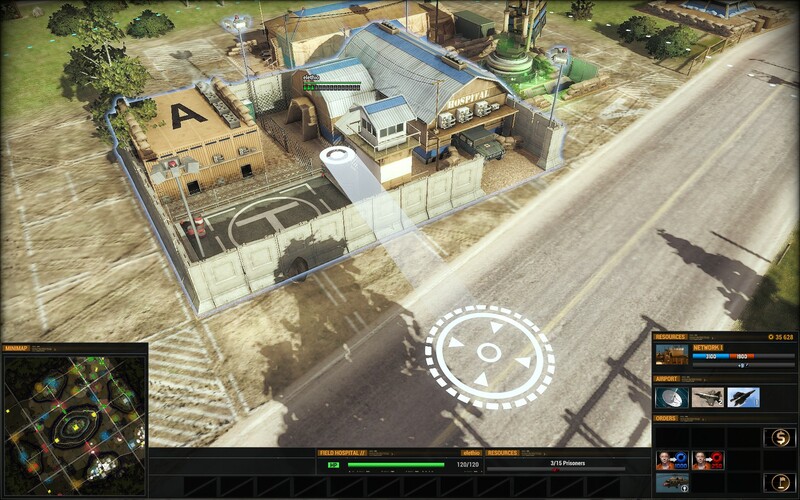 Each faction has a similar method for collecting the resources found on the map, They also have unique buildings mid to late game that give perpetual access to particular resources i.e. 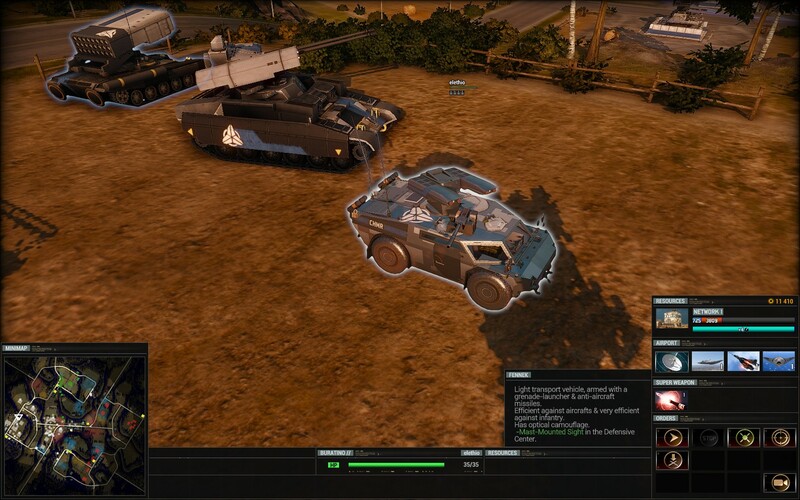 the American Army Faction favour money as a resource, the Chimera favour money and Aluminium, and the Cartel favour Rare Earth. 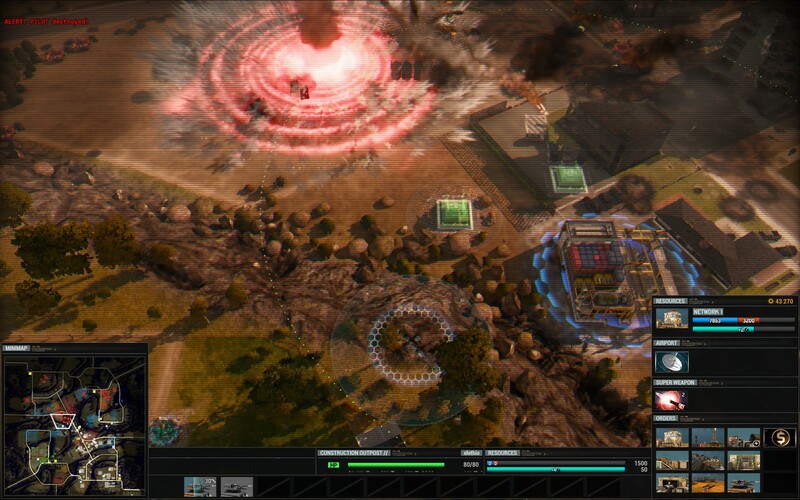 Apart from differences in the way they accumulate resources, all three factions have unique units and buildings and other mechanics. 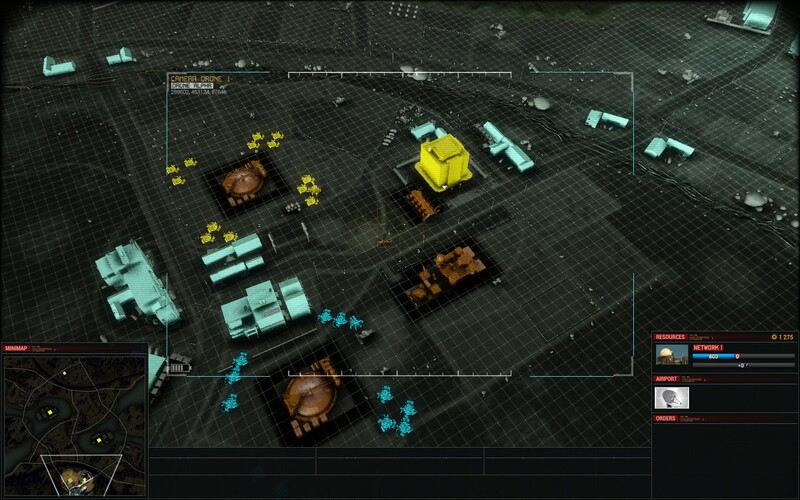 There is a degree of parity between all the factions but even similar buildings like the barracks will each have particular nuances for each team. 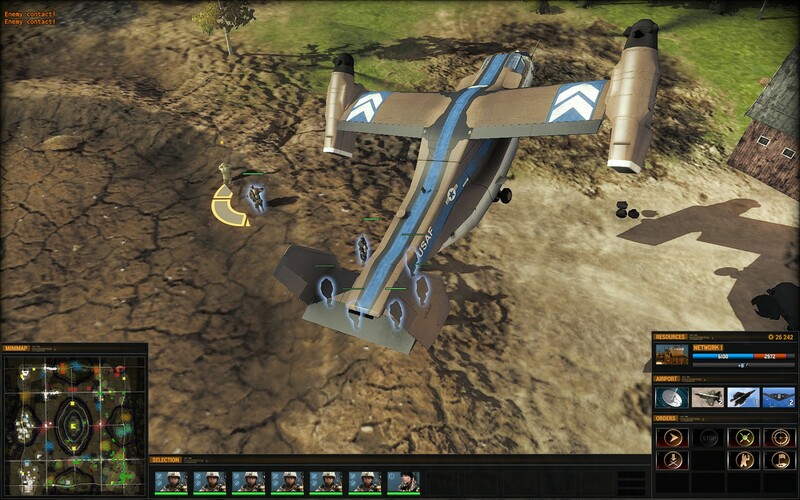 One of the major differences to look out for is the way bases expand, the American faction have small resource collection extensions which can quickly grow your main base to a respectable size, later new FOBs can be unlocked to start smaller bases at remote locations. 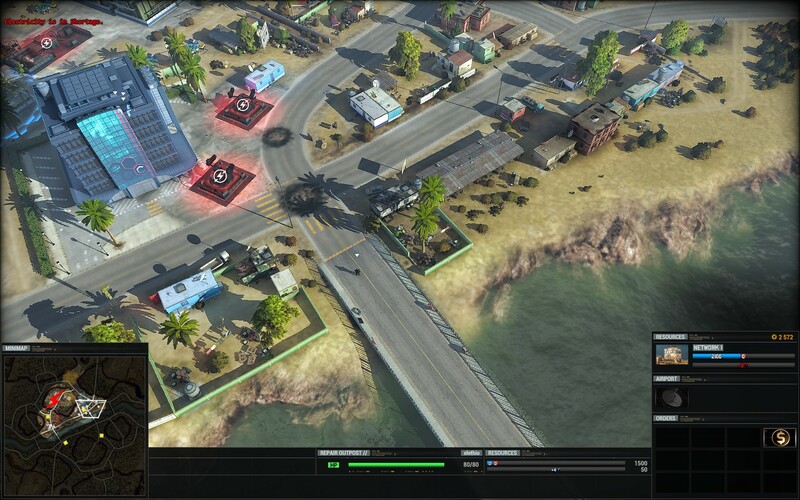 The Chimera can’t expand their main base as quickly as the Americans but their equivalent to the remote bases are unlocked very early so it's easier to start new bases at strategic positions. 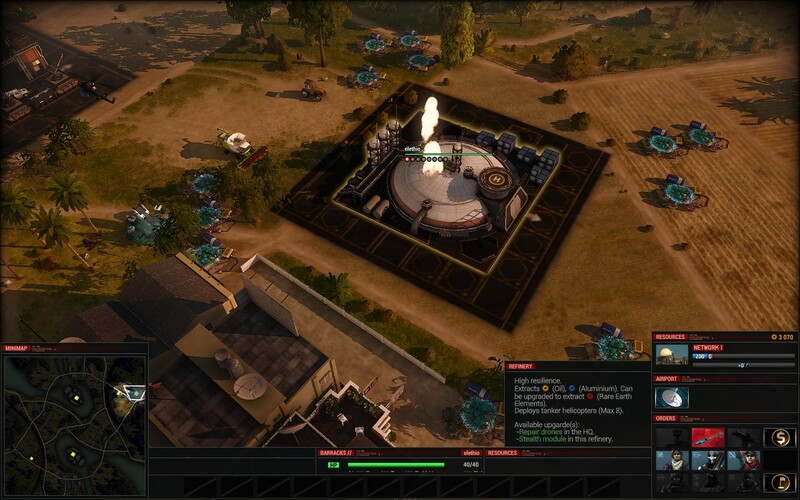 The Cartel expand their base very slowly and I find their base defences weaker than the other faction's, however they are able to quickly set up barracks at remote locations making defensive reinforcements easier at strategic points. 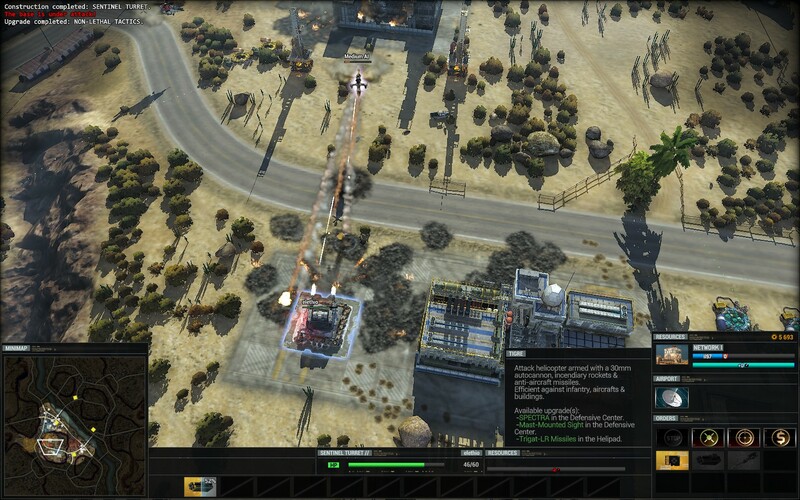 Also the Cartel’s use of helicopters makes it easier for them to collect resources from refineries. Electricity is something else you need to pay attention to. Unlike the other resources you can’t build anything from it but it's needed to keep many buildings running and a power failure can be catastrophic for your defences. 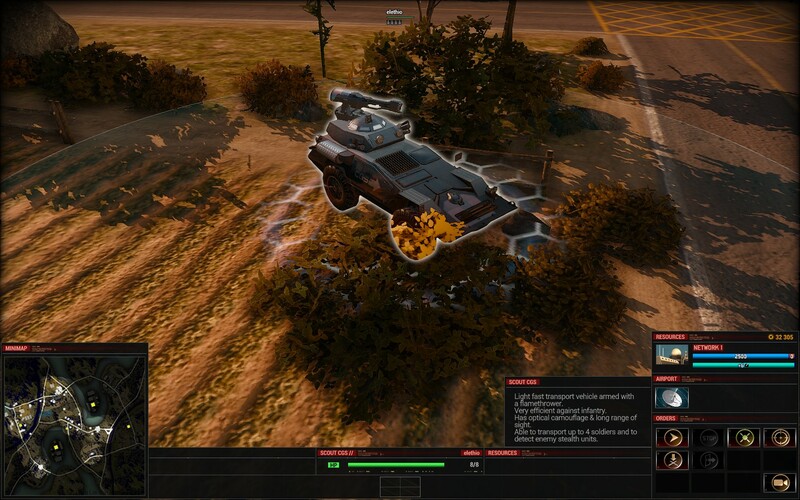 Another interesting mechanic that made its way from Act of War, is the ability to take prisoners. 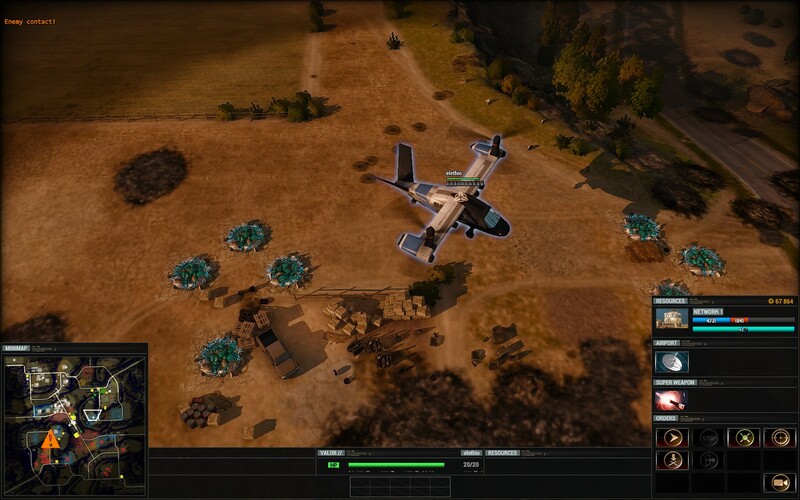 Destroyed units will spawn one or more (non-combat) “pilots” who can be captured. Infantry may also be captured too if they lose too much health, but there is a chance of them just being killed instead. Captured prisoners are transferred instantly to a prison and from there they will give you a small but permanent money income. Prisoners can also be “cashed in” for a lump sum of Rare Earth or Aluminium depending on your faction. By remembering to capture prisoners can gain a substantial income and it can often be the first access you get to the Rare Earth resource. I'm not worried, do I look worried? Lick of paint and it'll be fine...hopefully. 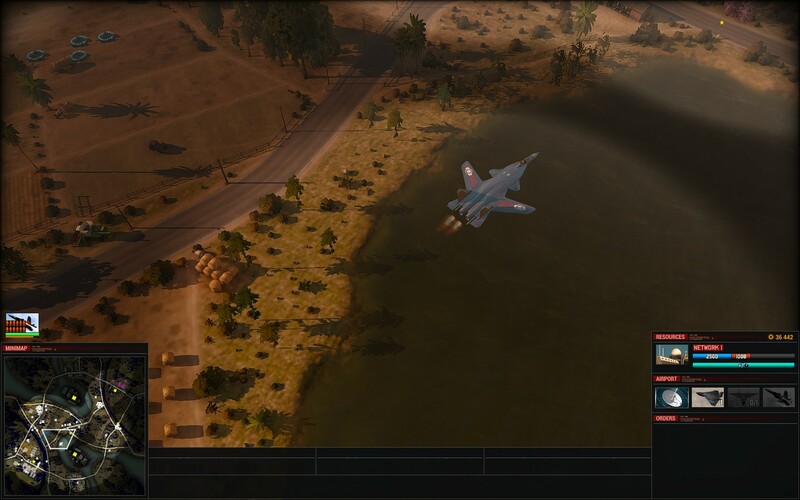 Apart from helicopters and VTOLs (Vertical Take-Off and Landing – MJ Ed) the aircraft in AoA act more like abilities; they still require “building” but they are used by giving them a target location and then they fly in from off map and attack targets of opportunity at the locations you designate. 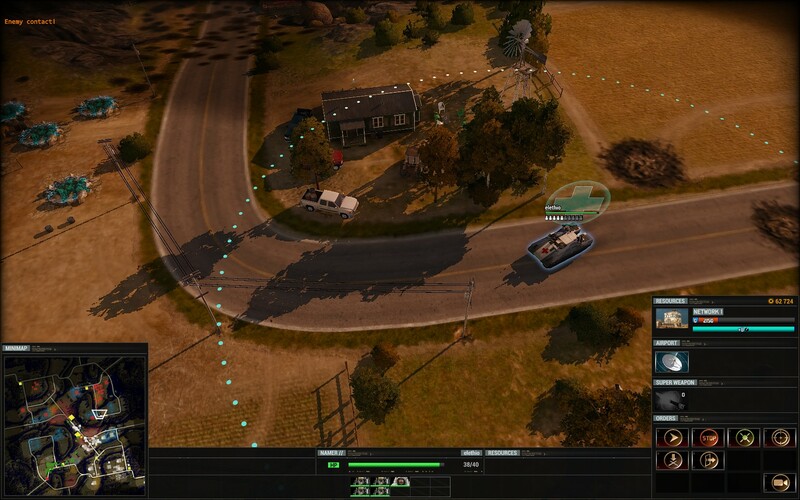 All factions have access to stealth and detection units and making good use of them is vital to your offence and defence, and particularly important for use alongside your artillery. Super-weapons are adequately spectacular. 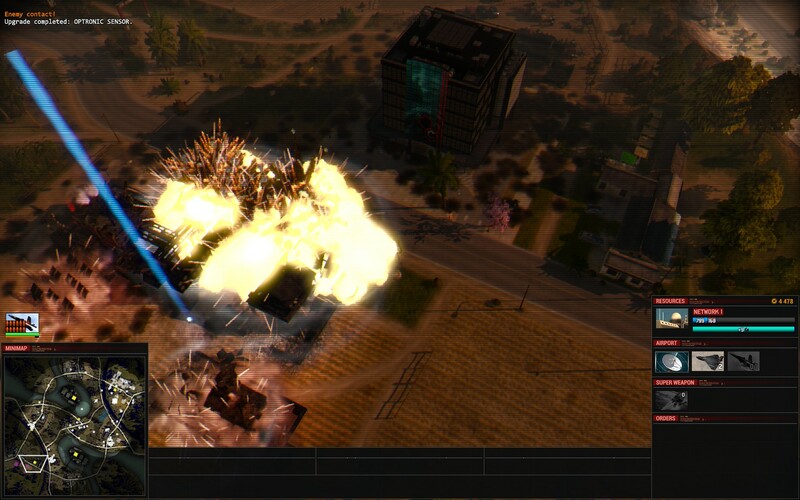 Each faction's super-weapon is distinctive, although none of them are guaranteed to win the game for you in one shot, they still have enough oomph to make building countermeasures a priority. A lot of attention to detail has gone into making this game. 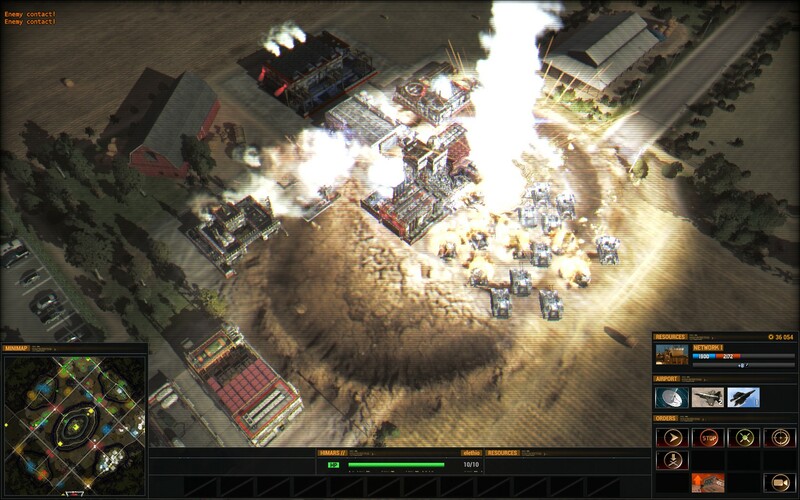 This can be seen in the terrain, effects, and models. The whole game looks solid, crisp, and polished like a stainless steel Desert Eagle, but what was just as surprising was the fact that the game still looked fresh and new on my relatively dated games PC (i7, 8gb, GTX295), and ran smoothly throughout, despite the kaleidoscope of lighting and special effects the game throws at you. 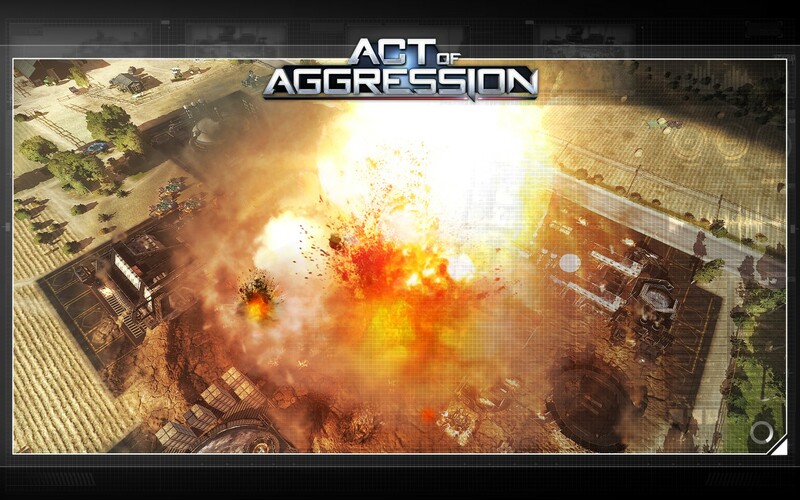 Act of Aggression is tribute to the golden age of RTS, but better than that, it's an evolution of the traditional RTS. The slightly slower pace and greater depth may put off some C&C fans, but take it from me this gem is scratches that RTS itch better than any other recent game I know. 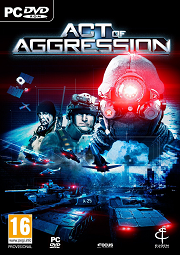 « Aggression on the RTS Genre« Eugen Systems’ Next RTS gets Aggressive« Meet the US Army in Eugen's Act of Aggression« Act of aggression - Act two: Chimera« Act of Aggression too early to pre order?